This is a powerful 800 watt electric tiller, allowing you to till along narrow rows, raised beds or fences. Compact enough to be easy to manoeuvre and store, it also weighs just 9 kg. This 1400 watt electric tiller gives you the power you need for tough tilling tasks, with a 43 cm working width and a maximum depth of 20 cm. It has 6 hardened rotors that can be adjusted to only use 2 or 4 instead. Ideal for weeding between crop rows, preparing seed beds or using in raised beds, a fantastic mechanical hoe for general weeding. Lightweight, easy to use and simple to store, this machine is the perfect expression of the power of li-ion battery technology. Sold as a shell only with battery and charger available separately. A lightweight and easy to use petrol tiller, the Handy THPMT is also compact enough to be easy to store and transport. Boasting a 30 cm tilling width and a 20 cm tilling depth. 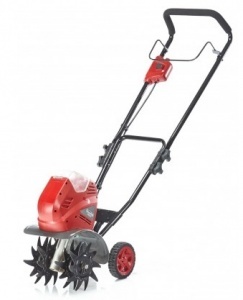 Perfect for the smaller homes or allotments, the Mountfield Manor 36 tiller is compact and easy to use. Powered by a Mountfield RSCT 4 stroke 100cc engine. 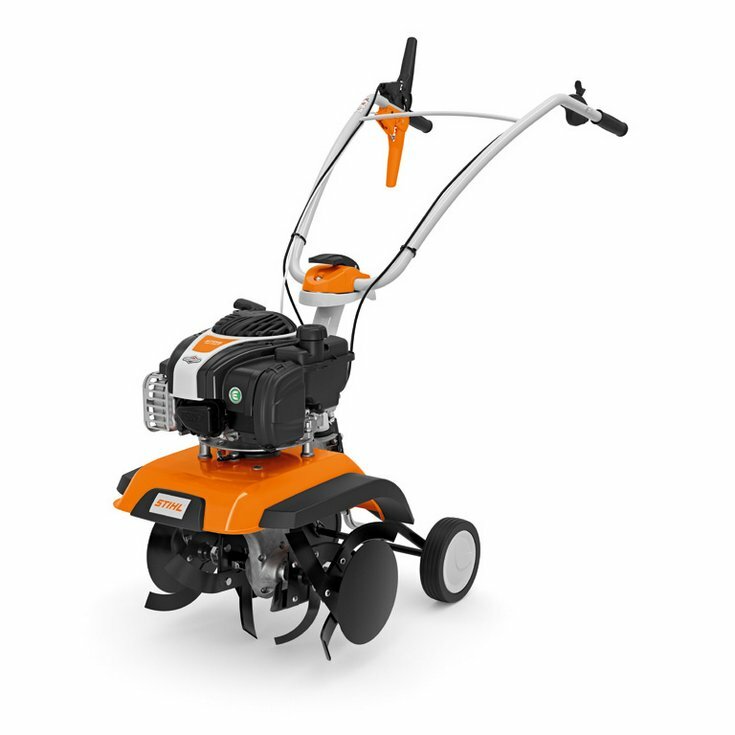 This tool helps make preparing the ground for planting easy and effortless, thanks to its 100cc engine and four 245 mm diameter rotors. 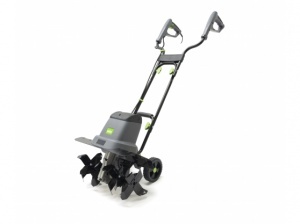 With a 36 cm working width and a 22 cm maximum cultivating depth. Cobra T40B, petrol powered cultivator. 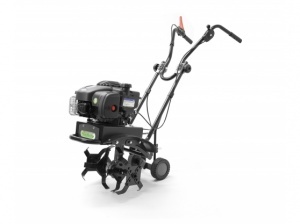 Loncin's LC360 petrol tiller represent fantastic value, while boasting low fuel consumption and easy operation. 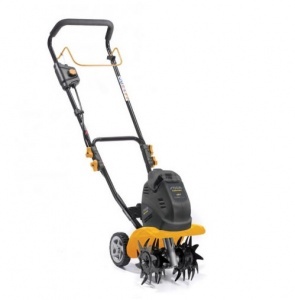 It is designed to be well suited for small, awkward flower beds and allotments, with a 35 cm cutting width. Compatible with all attachments from STIHL's MultiSystem range, this MultiEngine boasts a folding frame for easy transport, a simplified starting sequence and is ideal for a wide range of tasks. 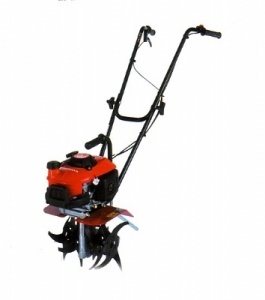 This Briggs & Stratton-powered petrol tiller takes the hard work out of tilling an allotment, with is 38 cm working width and 25 cm working depth ensuring large areas can be covered in no time. 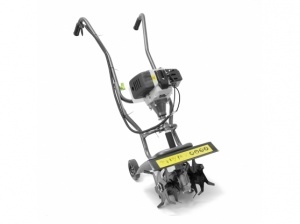 This versatile petrol front tine tiller is perfect for maintaining smaller gardens, flower beds and allotments. 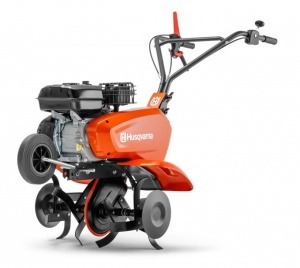 It is powered by a 25cc Honda engine and is compatible with a wide range of attachments. 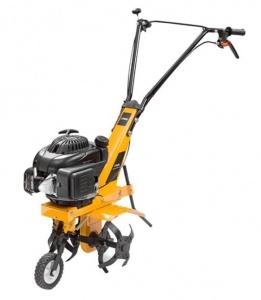 This powerful 14 inch petrol tiller is perfect for tilling, even on heavy clay soil. 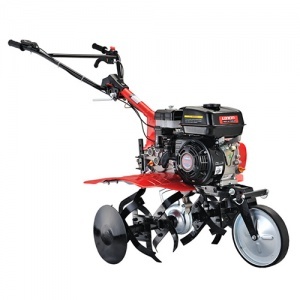 Powered by a Briggs & Stratton 450E Series engine the SRC 550 RB is a powerful cultivator that can easily prepare your garden for vegetables even if you have the hardest of soils. 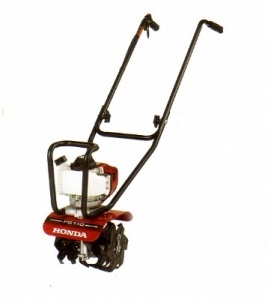 The Honda micro tillers are for gardening tasks in smaller areas. The maximum tilling width is 12 inches, and it's powered by a Honda GXV50 OHV mini 4-stroke engine. 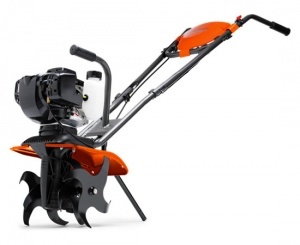 This is a great cultivator for domestic and landowner use on larger areas. 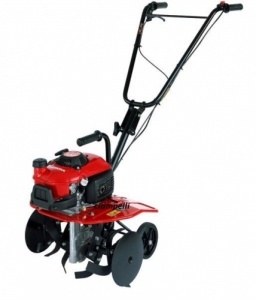 It has a powerful Briggs & Stratton engine and includes a reverse gear for easier operation. 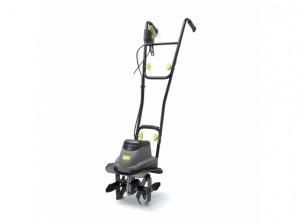 With a working width of 60 cm and a working depth of 30 cm, plus a transport wheel included on this model as standard. The SRC 775 RG Cultivator is a powerful tiller perfect for preparing the soil for new seeding and planting, even with the hardest of soils. 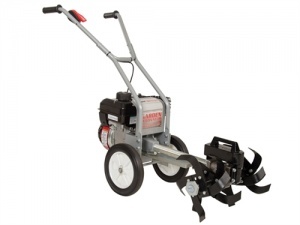 Handy's most powerful tiller, this model is built to cope with even the toughest tasks, thanks to its Briggs & Stratton 900 Series engine and oil lubricated gearbox. 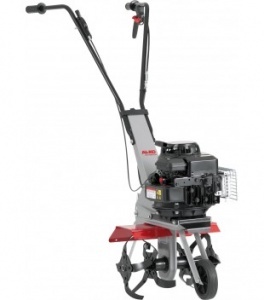 Representing excellent value, this front tine tiller is highly maneouvrable, yet still provides an 85 cm working width, a robust chain drive and a high specification Loncin engine. 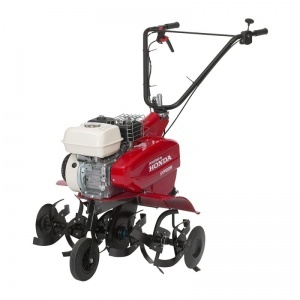 The Honda FG205 is suited to cultivating tasks, due to its slower drive speed, and wider tilling width of 18 inches. Powered by a Honda GXV50 OHV mini 4-stroke engine. 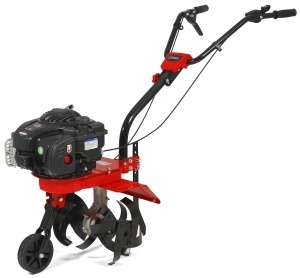 This is a 4-stroke petrol tiller that enjoys quiet operation, adjustable control, durable design and excellent power. 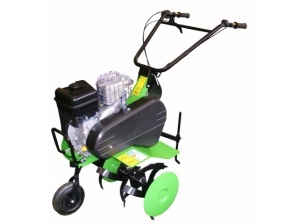 It boasts a maximum tilling width of 800 mm and is ideal for cultivation of small gardens. 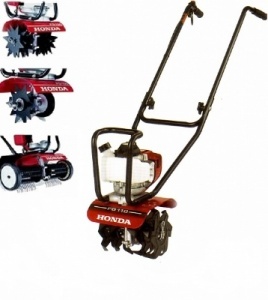 The Honda FG110 with lawncare kit is small and therefore lightweight. Can be used with three other attachments, making them versatile. A compact tiller with a powerful Briggs and Stratton 550 series EX OHV RS engine suitable for working in confined areas. 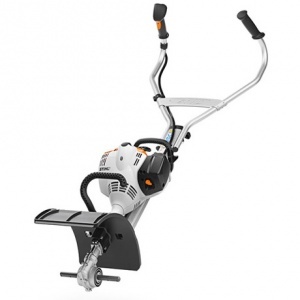 The STIHL MH 445 R tiller is designed with user convenience and comfort in mind. 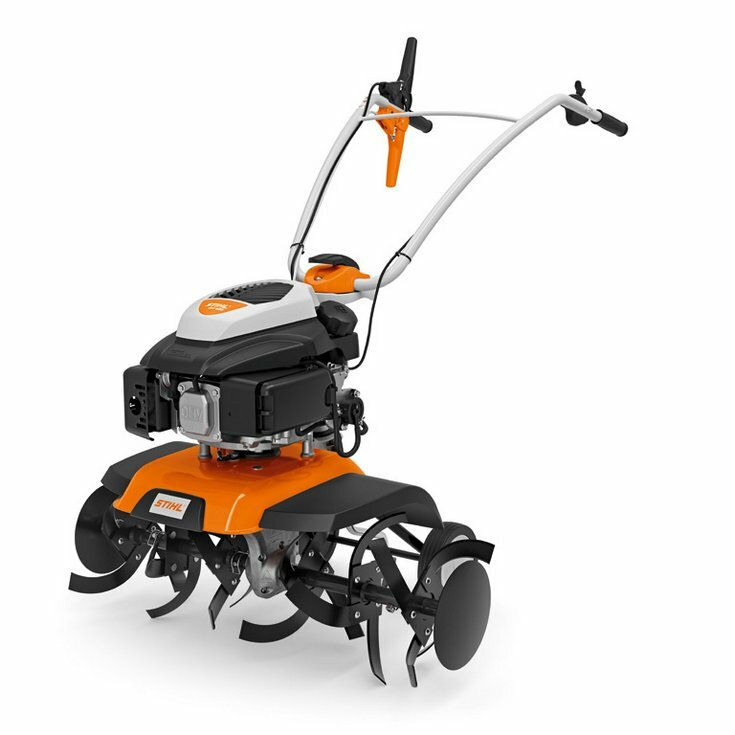 High performing tiller with a wide working width for a variety of uses in beds and on lawns. With a working width of 85 cm and the Kohler XT675 series OHV SC engine makes this a very efficient and powerful machine.